Flashback Saturday: What if a technology revolution happened and nobody noticed? Every weekend we dig into the archives. This post by Peter was originally published in November 2014. Near autonomous cars followed by driverless vehicles (smart cars) will transform our commute to work and much more over the next two decades. Car-based technologies hold the promise of reducing the billions of dollars we spend on roads by improving how we use them and by saving lives. We need to rethink our reliance on infrastructure solutions to transport problems and look at how to effectively embrace the new technologies. If you read on, the report implies that we should stop investing in public transport and count on driverless cars to allow roads to flow more efficiently. The report does not grapple with the question of where the driverless cars will be stored – in spite of the fact that parking is one of the costliest elements of a car-heavy urban transport system. Space is expensive in cities and cars, even driverless ones, do not use space efficiently. However, if we set aside NZIER’s technological utopianism, they are making a reasonable point: When a transformational technology emerges, governments must make complementary public investments to enable society to benefit. With that in mind, I would like to point out that a technology revolution has happened over the last decade – and gone largely unnoticed by New Zealand’s transport agencies. I’m talking about electric bikes, which are now proven, readily-available technology. Several companies are selling them in New Zealand, with basic models going for under $1000, which is price-competitive with a new road bike. In the Netherlands, 19% of all new bikes purchased in 2013 were electric. Why is this so revolutionary? Simply put, because electric bikes flatten out all the hills on a cycling route. By providing a bit of extra oomph when riding up inclines, they remove a major barrier to cycling in hilly cities like Auckland and Wellington. Suddenly, the vertiginous climb out of the Queen Street gully might as well be pancake-flat Christchurch. Even on flat sections, the additional power provided by the electric motor can make cycling much more relaxing and gentle. That may not matter to the young and/or fit, but it’s a boon to people who are less fit or only starting to cycle. 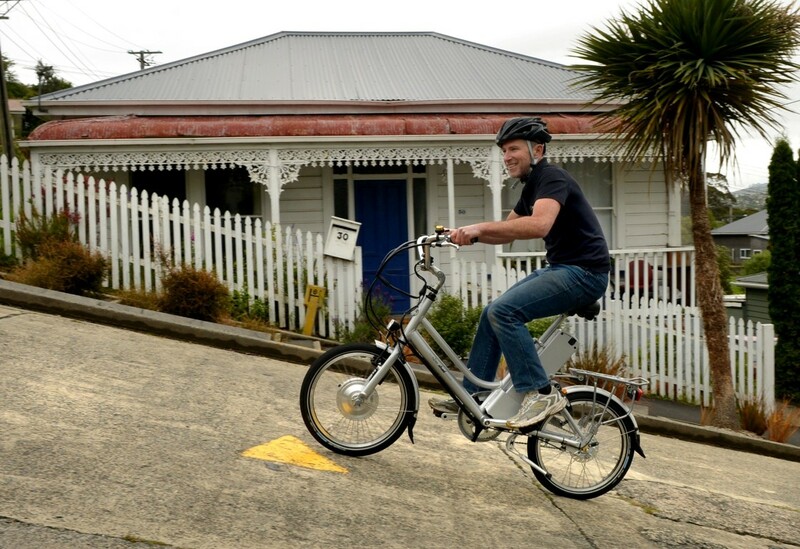 Consequently, electric bikes have the potential to majorly disrupt New Zealand’s urban transport markets. According to my calculations based on 2013 Census journey to work data, one-third of all commutes in Auckland are under 5 kilometres. At present, only a very small minority of those trips are done by bike. Recent technological change means that could shift, and rapidly. Taking all those short trips on bikes would have a much more fundamental impact on congestion than driverless cars. However, there are some big barriers to getting the full benefits of this transformative technology. Simply put, our roads often feel too unsafe to ride on. 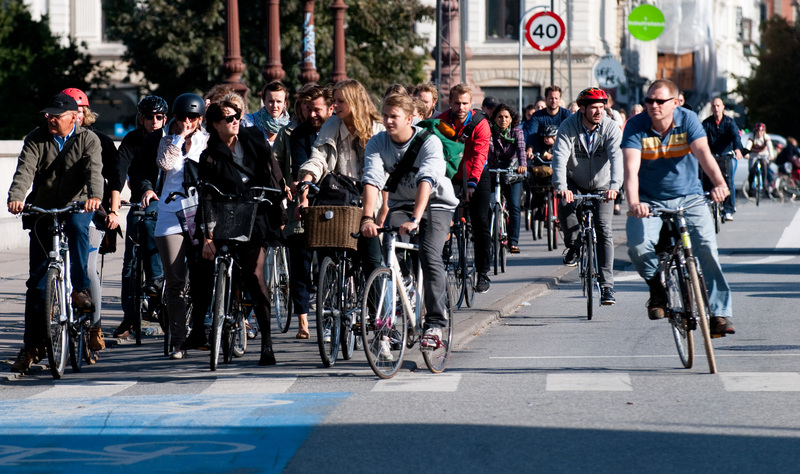 People on bikes often must compete for road space with cars, buses, and trucks. They have to look out for cars backing out of driveways and drivers opening doors into their path. Over a lifetime these risks are more than balanced out by the health benefits of cycling, but they can feel a bit intimidating. Slowing speed limits to improve safety on side streets and alternative routes like the Dominion Road parallel routes. This can all be done immediately at a relatively low cost. It will enable us to benefit from a transformative technology that actually exists right now, rather than waiting decades for an unproven technology. So why aren’t the enthusiasts for “disruptive technology” taking notice? The other consideration is that cycles don’t need a strong expensive road. When they widen a road to accommodate cycling lanes that is a massive waste of money. For probably 1/4 the cost a cyclelane can be built beside the road rather than on it. Safer, better and cheaper. Absolutely, it can be so easy to build a quick temporary cycle lane in an ad hoc fashion. The use of portable barriers, bollards and street furniture can do wonders. New York city did exactly this in many areas a few years ago, which kicked off the start of their cycling boom. Why do we seem to either get “perfect” expensive infrastructure or pointless paint to nowhere? There are other options. there is an 800m section of my commute that I have to use the hard shoulder of a 100km/h expressway, Petone to Ngauranga. i hate it but there is no action, only talk on a safe solution for active modes. That route got funded in this year’s budget. I’d really like to see some cost benefit analysis for some super cycling infrastructure – Covered wide cycle paths. Safe, dry, easy on an e bike. Could transform the transport network for relatively little money. Yes e-bikes are a good idea for a lot of Auckland areas. I see on Twitter the police were using them now to. One thing which would make a difference would be to ban all those dirt cheap mountain bike copies with the knobbly tires. They are just to hard to push on tarmac which is why you see so many kids and adults riding on the concrete footpaths. I was just thinking the other day that I see 3 bikes on the footpath for every one bike I see riding on the Papatoetoe station road cycle lanes. Bring back the old ten speeds we used to ride in the 1980 and 1990’s the cheap crap cycles the average kid or parent is riding in South Auckland would put anyone off cycling. They are just to hard to push with their knobbly tires on the flat tarmac. A gentle uphill gradients or a head wind just make it impossible. you can replace those tires with slicks. We should have an education program for parents so they know what to buy for their kids. Often these bikes get used by the whole family. A wrong choice could put the whole family off. I agree. And educating parents about the alternatives to training wheels would be good. Also, there are plenty of families who pass on the bikes their children have grown out of to families of similar economic means, whereas a good programme to enable richer families to pass them onto poor families would be very welcome. Regarding quality of bike and tyres there is one other consideration: I now know so many stories of people who have started cycling again since Onzo hit the streets. I think there’s a place for getting people back onto a bike – any bike – and particularly one that didn’t cost them much money or is a rental. Then they can make their purchase with a bit of experience behind them. Ecomatters Bike Hub ( New Lynn and Henderson) , Triple T in South Auckland and Bike Kitchen in Mt Roskil are great places for those unwanted bikes. The volunteers ensure they are serviceable and safe and help get them out to the community. Thanks. I wonder how well they advertise in the wealthier areas… when I find a bit of time, I might suggest it. I was quoted $70 each for slick tires at the bike barn. A bit strange given that you can buy a whole new bike with slick tyres for $400. Its a bit late for all the people who have brought a blke with knobbly tires though. I ride a near 40 year old tenspeed, was pretty cheap on trademe. Much prefer it to a mountain bike for getting about town on. Plus its crappy enough that it shouldnt get pinched.
? Why just where there is enough space? On-road cycle lanes without a median have simply proven to be unsafe – too many cyclists are still being killed. If we are going to truly adopt a vision zero approach then on-street parking should be removed in many places to allow for protected cycleways to be implemented.